w00t! 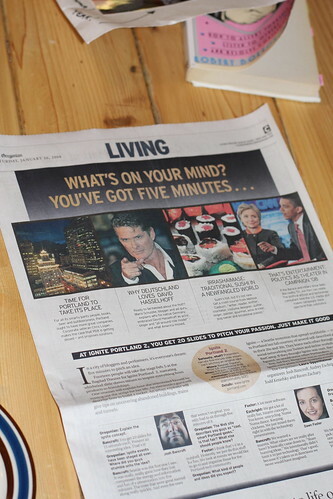 We made the front page of the living section in the Oregonian with a really nice write-up about Ignite Portland. You have to buy the Saturday paper edition to get the full write-up. I’m curious what this will do for RSVPs? You can now find the Ignite Portland write up online, too (minus the pictures). Thanks to @kveton & @mfriesen via twitter for the link. Want to see me present at Ignite2?